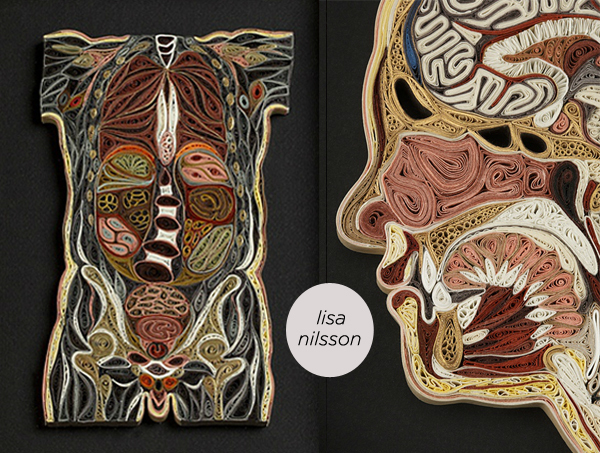 Lisa Nilsson's work is unbelieveable. She intricately quilled various pieces of paper into these anatomical cross-sections. What a way to combine science and art and oh my, what patience and detail! I will forever be awed by her patience. I can't even sit down to make a string of paper cranes.